Solo drivers who used I-66 as tolling began faced as much as $34.50 in tolls to go one way. Monday was the first day weekday rush hour commuters could use the Express Lanes on I-66 inside the Beltway. The Express Lanes allow drivers to use the road for free as carpoolers, but solo drivers must pay a toll that adjusts according to traffic conditions. By 8:30 a.m. Monday, the estimated toll for a trip from I-495 North to exit 73 in Rosslyn was $30, according to VDOT's online calculator. Those prices climbed to a high of $34.50 for single drivers -- which sparked outrage on social media. Drivers trying out the new Express Lanes on I-66 Monday found themselves facing some pretty high toll prices. Go here to see real-time toll estimates of how much you would pay. But the governor and Virginia Department of Transportation officials say the tolls are working as they're supposed to. "This is how it's supposed to work," Gov. Terry McAuliffe told News4. 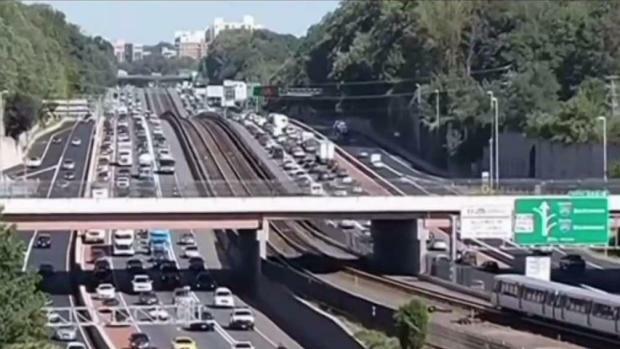 "When it's getting too congested, they don't want you on the roads. Do an alternative." Starting Monday, weekday rush hour commuters will need an E-ZPass or E-ZPass Flex to travel on express lanes on I-66. "We could not keep 66 the way it was," McAuliffe said. "It's just bottleneck." "That was a choice that they made which they didn't have before today," VDOT's Michelle Holland said. Del. Tim Hugo, chairman of the Virginia House of Delegates' Republican Caucus, called the tolls "unacceptable." “Drivers across our region are shocked at the exorbitant tolls we’ve seen on I-66 over the last couple days," he said in a statement. "This is not what anyone expected to see. We immediately need to come together to craft a realistic public policy solution that helps lower the cost of commuting for single-occupancy vehicles on I-66 inside the Beltway." 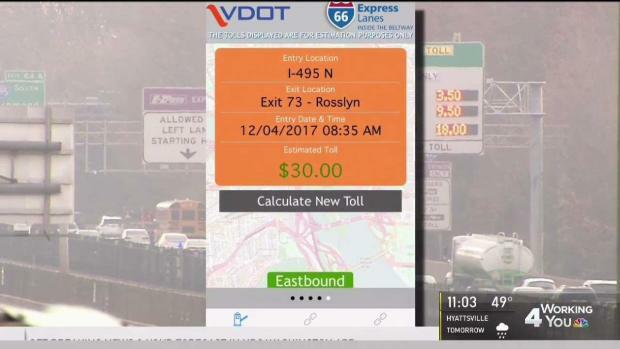 VDOT said the tolls are shortening commute times; the average commute time along I-66 was cut in half when compared to the commute one year ago, the department said. 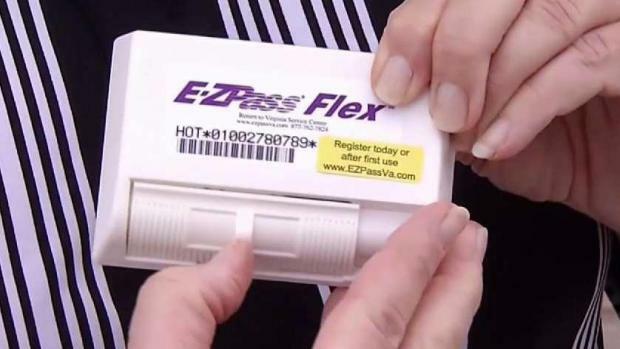 Carpoolers can travel on the I-66 express lanes for free, but they need to use a special pass called the E-ZPass Flex. The pass features a switch to enter HOV mode and signal you’re carpooling. Police patrolling for violators can detect when HOV mode is activated, officials say. Rush hour drivers on I-66 inside the Beltway will have to have an E-Z Pass for their commute from now on. News4's Darcy Spencer reports. In 2022, you'll need three people in car to use HOV privileges. About 63 percent of drivers were solo and paid the toll, VDOT said. 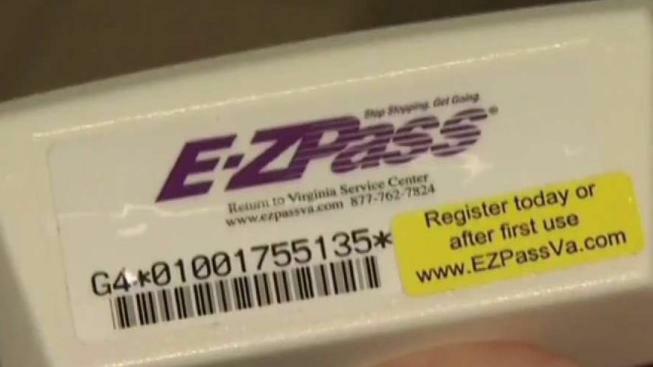 About 12 percent of drivers didn't have their E-ZPass, according to VDOT. Drivers continued to get their E-Z passes at the last minute Sunday to prepare for their Monday commute on the I-66 express lanes. News4's Darcy Spencer reports. If you still need an E-ZPass or E-ZPass Flex, you can purchase one at a location listed below or online. Anyone who drives in the Express Lanes without a pass will face a $12.50 fine. You can avoid the fine by going online three days after passing through the toll without paying. Just type in your licence plate number and pay the toll online. 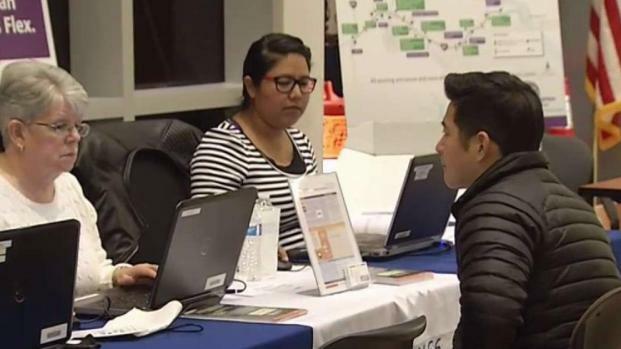 VDOT says you still have to pay an administrative fee, however. News4's David Culver tells you everything you need to know about E-Z Pass changes coming to the express lanes on I-66. Look for a special guest appearance from David Culver's carpooling alter ego. The tolls will only be in effect on weekdays between 5:30 and 9:30 a.m. for eastbound lanes and from 3 to 7 p.m. on westbound lanes. There are no longer any exceptions for people travelling to Dulles International Airport or for owners of clean fuel and hybrid vehicles. VDOT says you can visit one of the Northern Virginia stores listed below to buy your E-ZPass, but call ahead to ensure each store is open and has what you need. You can also see the list and a map here. About half of Northern Virginia drivers who use I-66 are not ready for the new E-ZPass Express Lanes coming in December. News4's Julie Carey reports what you need to know if you plan on driving on I-66 inside the Beltway during rush hour.